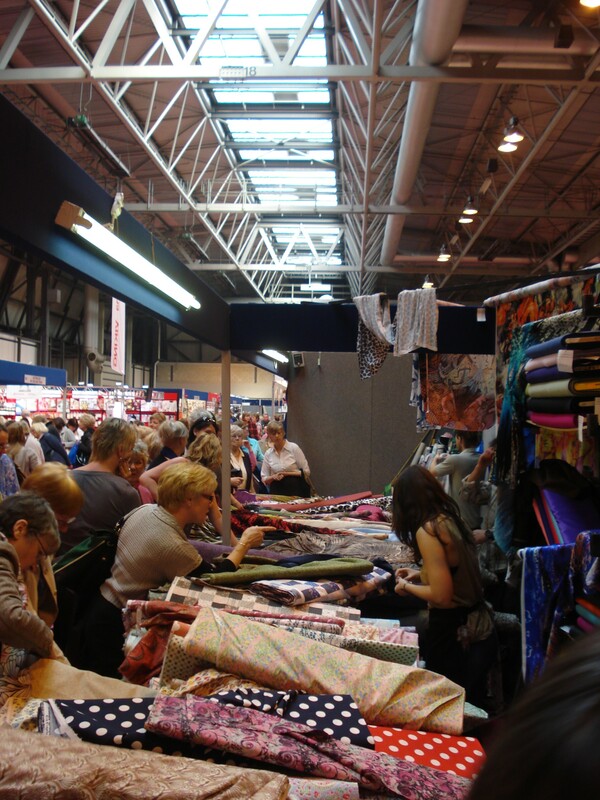 Yesterday I went to Sewing for Pleasure at the NEC with some students/friends. The temptation monster was practically roaring at us from our first step inside the halls. For those of you what haven’t a clue what I’m on about, this exhibition is all for the sewist! If you are into embroidery, textile art, knitting, stitching and sewing, this one is for you! 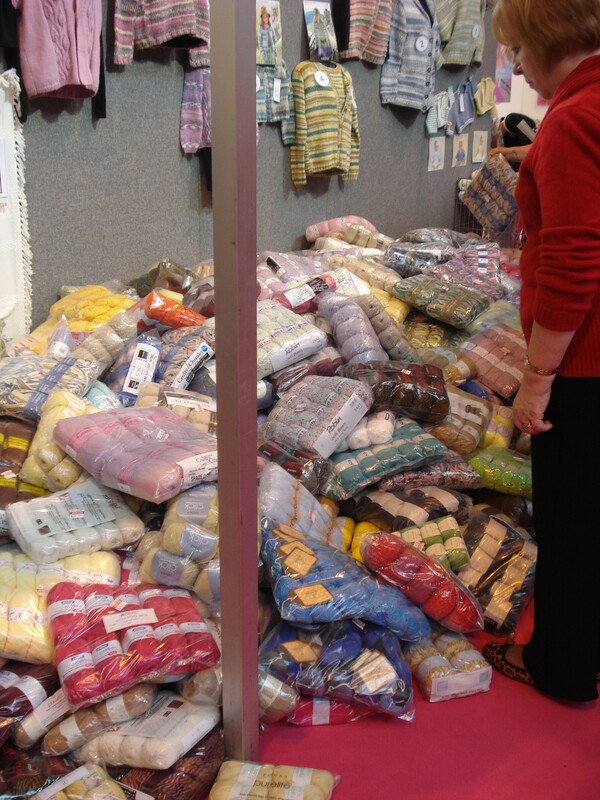 Fabrics Galore had a prime site, on the right of the entrance! And this wasn’t their main stand. 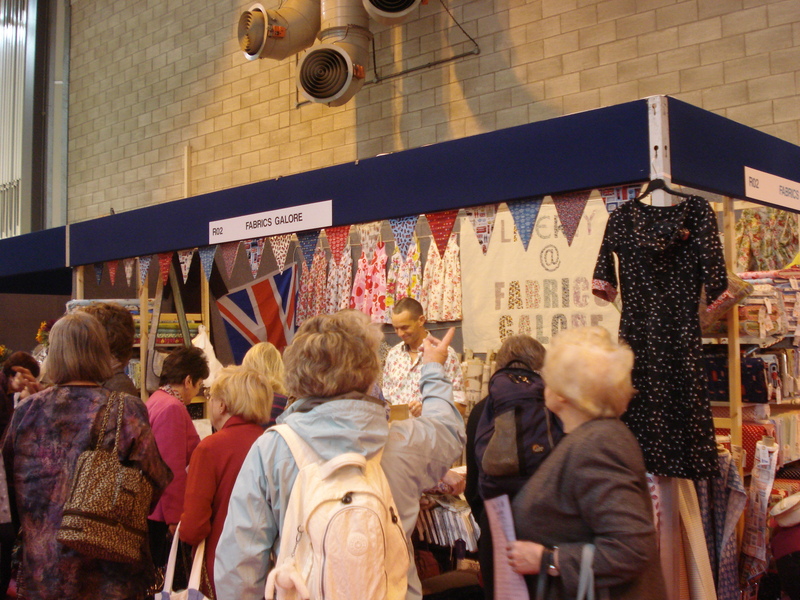 Fabrics Galore, this stand was full of Liberty fabrics at a real steal! There was so much lovely fabric, I had to walk away, I only had a limited budget and was not about to blow it all on the first stand! My friend, Laura, did succombe to a length for a pretty top she had designed. 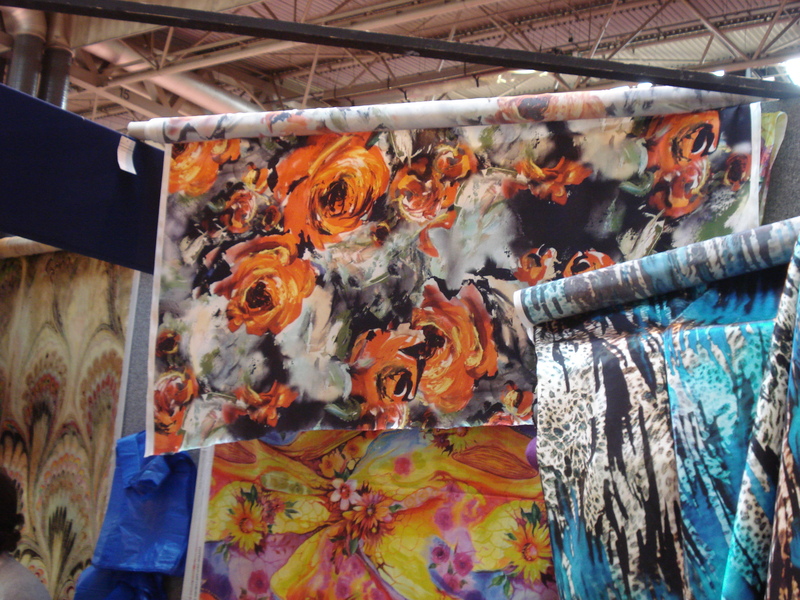 They also had some great fabrics for the Jubilee. One thing I was desperate to buy quickly was interfacing. I was down to scratty bits, so I was off to find Gill Arnold to stock up. Her interfacing really is the bee’s knees. If you have some time, pop onto her website. She offers day workshops on various subjects, and what she cannot tell you, you don’t need to know! 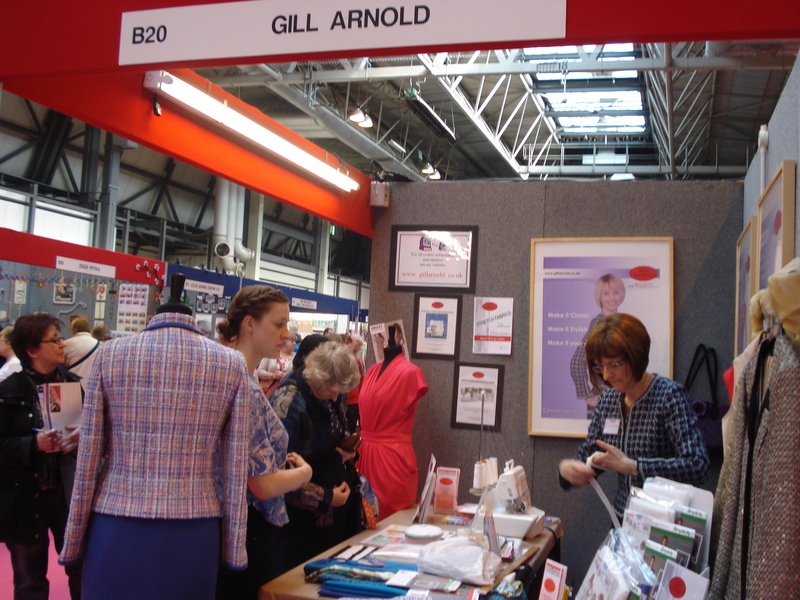 Gill Arnold’s stand. Purveyor of fabulous interfacings, and fount of knowledge! Then we ran into The Rosenberg stand. This was DANGER in capital letters. These guys have so much fabric, cottons, linens, jerseys, silks, you name it. We had a good look and then headed off, we needed time to process! We also needed to meet the rest of the gang. 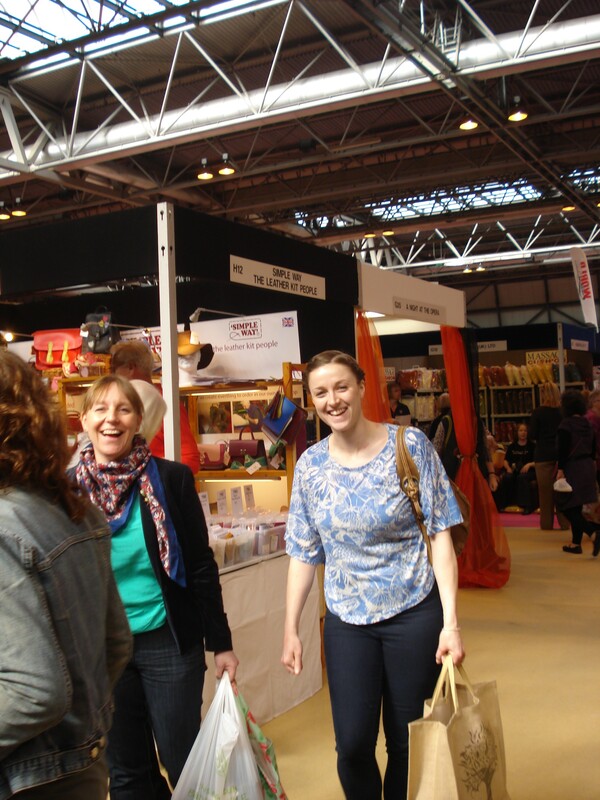 Laura and I met up with more of the gang at the main Fabrics Galore stand – of course! We proceeded to buy shirting, cottons, linen, etc etc! They guy behind the stand was wearing a fab shirt made from Liberty tana lawn. It had a print of a weeping willow in it, so pretty! Then my eye was caught by the Oliver Twists stand, and I had to turn sharply and walk away quickly in the opposite direction! Their stuff is like sweeties, and I am on a DIET!! Luckily I had no problem with this pile, I have no patience for knitting. If my mum had been with me however, it would have been a different matter altogether. We kept wandering, buying and mooching. 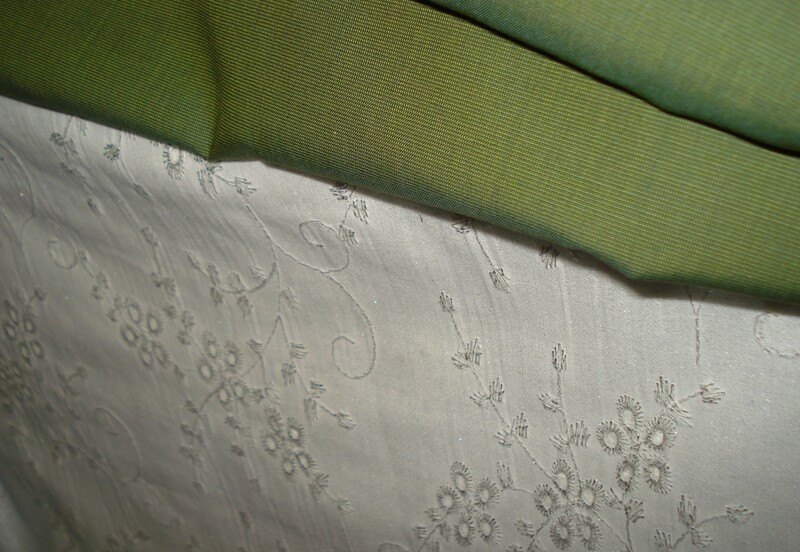 The Shuttle had a good selection of ex-designer fabrics, embroidered and embellished. Then we got to the area where the embroiderers and textile artists had their stands. Risky business! 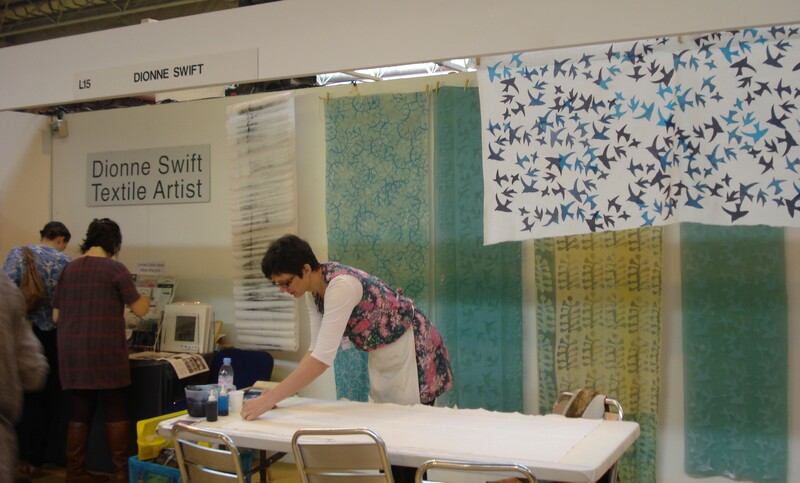 We saw Dionne Swift finishing up a demonstration on screenprinting. No-one told me how easy it really was! She made the whole process look so simple, and here I was thinking I’d never be able to do it at home. She runs workshops from her studios, so it looks like we’ll need a girly weekend away up north! By now we’re all pretty pooped, but still happy. We had fabric, leaflets and most importantly, inspiration! 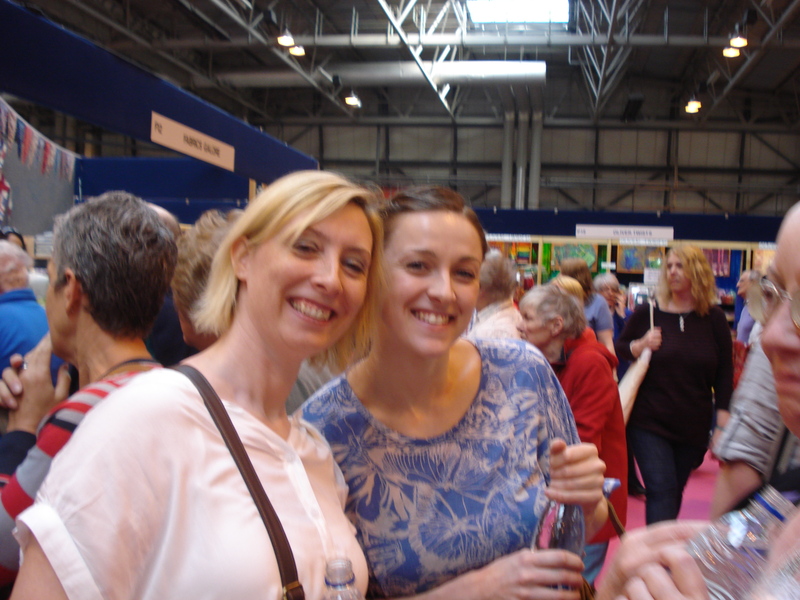 A great day really, we bumped into old friends and collegues and bought stuff we have no space for. These three now have enough to keep their Sewing Sundays busy for some time! So what did I get?? Well…… I actually didn’t buy as much this time as I did last year. I just couldn’t decide what to get, and I was determined not to go bananas. I have enough fabric here already! 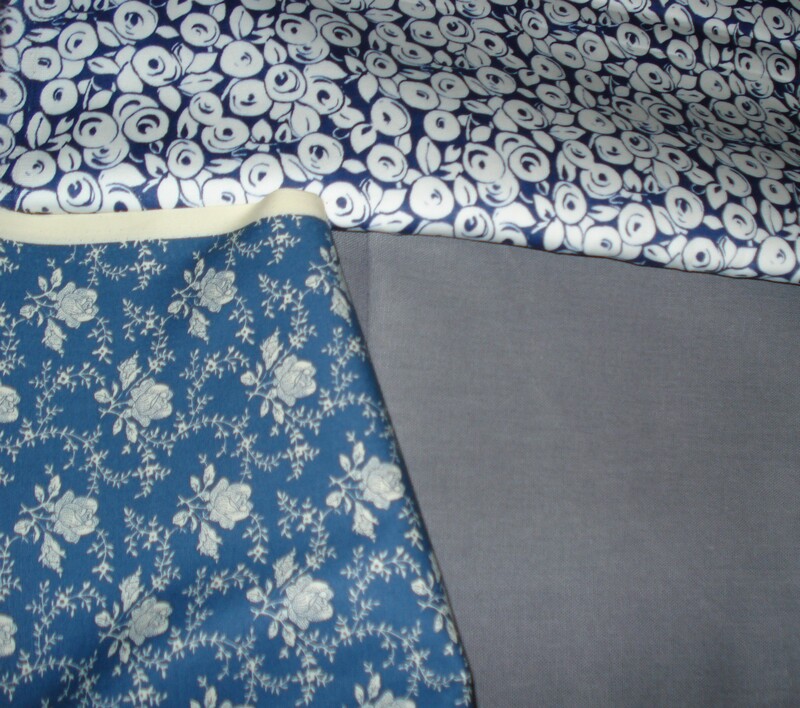 Clockwise from top: Blue and white floral stretch cotton sateen, grey linen & cotton blend and blue and ecru lightweight cotton. All from Fabrics Galore. Of course I did manage to get 4m of interfacing before I got all those, phew! But I leave you with a view of M Rosenberg & son’s stand. Who could resist?? Oh, sensory overload! It is all too pretty! My cheesy Hancock fabric fleece store will seem even seedier now that I have seen this! It was overdose for fabric addicts! OOOh this looks awesome! Love the white on white embroidery fabric and the blue lozenges on white. Looks like you guys had an awesome day.